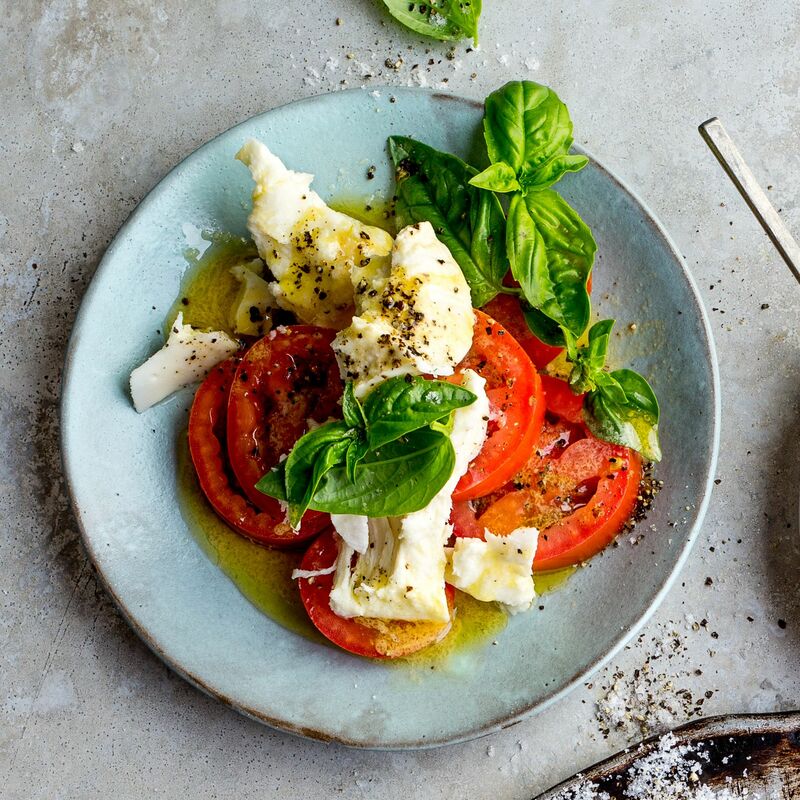 We would traditionally drizzle a caprese with balsamic vinegar, but it is very syrupy and sugary so we have swapped in vinaigrette. Not the Italian answer! Season with salt and pepper, splash it with the vinaigrette and serve.